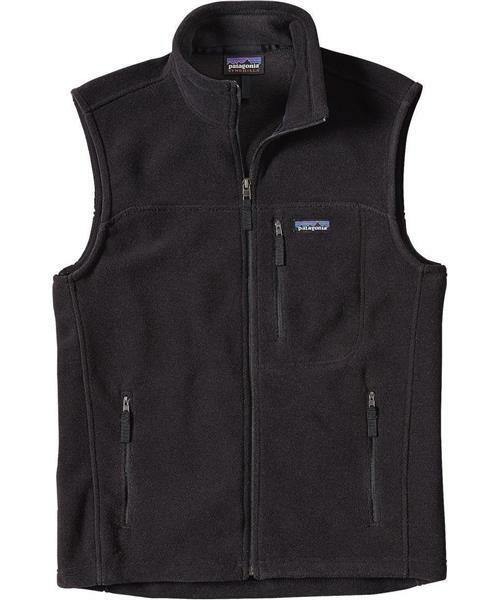 Patagonia's Classic Synchilla® Vest is the warmest and softest layer of do-it-all versatility that you’ll never leave behind. Lightweight and stuffable, it provides skin-friendly warmth when you’re looking for all-day comfort and insulation. Made of an ultra-plush 100% recycled double-sided fleece (with an anti-pilling finish) that insulates without overheating, the vest has a stand-up collar for wind protection, two zippered handwarmer pockets and a zippered left-chest pocket to carry the fundamentals. With a full-front zip and offset shoulder seams for compatibility with pack straps. Hip length. Fair Trade Certified™ sewing.